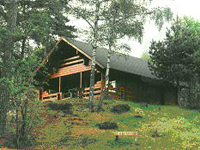 Cosy Log Cabin within a 10 minute walk to the centre of the village. A perfect base for exploring the Cairngorm National Park and Spey Valley. Enter your name, email address and the dates you’d like to check — the property owner will reply by email. Are you an Aviemore property owner? If so, why not join us?